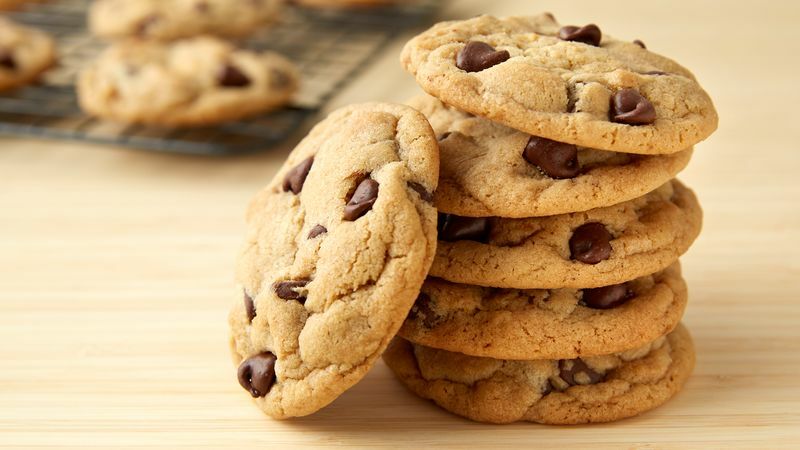 These cookies are soft, thick, bricks of chocolate chunks and buttery dough baked into a heavy, milk-loving cookie that is the most favorite chocolate chip cookie of all time. So, let’s know about the full details to make the chocolate chip cookies. Step One : Preheat oven to 350 degrees F (175 degrees C). Step Two : Sift together the flour and baking soda, set aside. Step Three : In a large bowl, cream together the butter, brown sugar, and white sugar. Step Four : Beat in the instant pudding mix until blended. Step Five : Stir in the eggs and vanilla. Step Six : Blend in the flour mixture. Step Seven : Finally, stir in the chocolate chips and nuts. Step Eight : Drop cookies by rounded spoonfuls onto ungreased cookie sheets. Step Nine : Bake for 10 to 12 minutes in the preheated oven. Step Ten : Edges should be golden brown.